SBSC exists to support and promote delivery of the Certification requirements of The Building (Scotland) Act 2003. The Act introduced a building standards system for Scotland that raised standards and simplified the approval of many design and construction activities for building owners, verifiers (local authorities) and the industry. The Act allows competent individuals to be appointed as Approved Certifiers of Construction or Design. This means that appropriately qualified and competent professionals who become Approved Certifiers of Construction have the authority to certify that the work they undertake is compliant with building regulations. 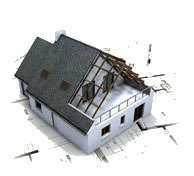 SBSC is an information and certification portal for building standards certification. Information is provided on the benefits of becoming an Approved Certifier of Construction and having work certified. There are links to specific certification scheme websites for more information on work which can be certified and how to apply for membership. SBSC is used by Approved Certifiers of Construction to generate certificates that are taken as proof of compliance with building regulations. The Certification Register is the definitive list of qualified professionals who can certify work in Scotland. This register is hosted by the Scottish Government and can be accessed on the Building Standards Division website (www.Scotland.gov.uk/bsd). The register contains membership details for all certification schemes and identifies Approved Certifiers who work across Scotland. To find an approved certifier use the register to contact the Certification Coordinator at the firm employing the Approved Certifier. For information about approved certification schemes please use the following links to scheme websites. More information on the Scottish Building Standards system is available from the Building Standards Division (BSD) website (www.scotland.gov.uk/bsd) and guidance is contained in the Scottish Building Standards Procedural Handbook. Details on the certification schemes are available by clicking here.